CLAYMONT, Del. (WPVI) -- A 15-year-old boy has been charged for allegedly firing a bullet that went into an apartment in Claymont, Delaware. The shot was fired on Thursday, October 26 outside the Harbor House apartments in Claymont. Investigators say the apartment was occupied by a 63-year-old woman at the time. The 15-year-old was developed as a suspect during the investigation, and he was arrested on Thursday. 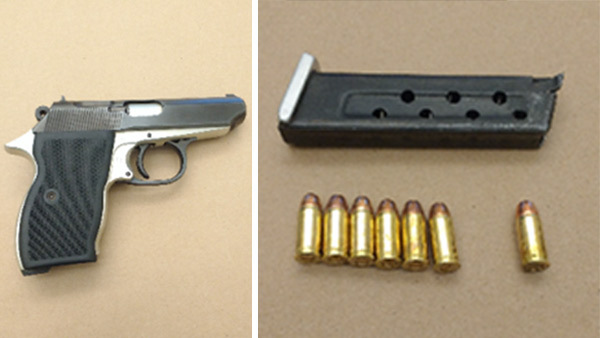 A search warrant on his Denham Avenue home revealed a .32 caliber handgun, police say. He was taken into custody without incident. The teen has been charged with felony reckless endangering, possession of a firearm during the commission of a felony and possession of a firearm by prohibited juvenile.